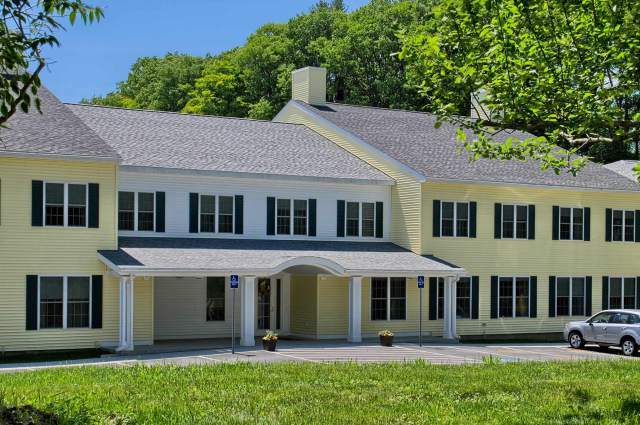 The new Judith Brogren Memory Care Center (opened in 2015), was designed to offer a secure environment for seniors with Alzheimer’s and other related dementias, while providing ample social opportunities, physical exercise, and mental stimulation. 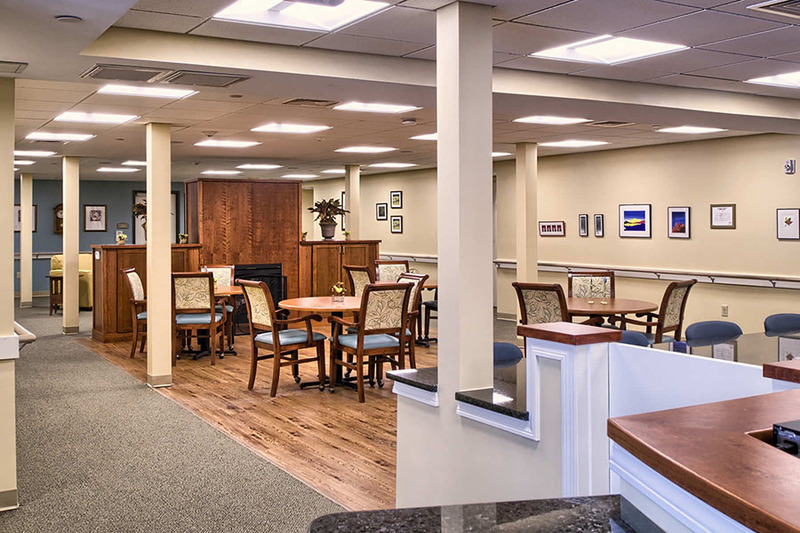 We take a personalized approach to memory care, catering to the individual requirements and preferences of each resident. 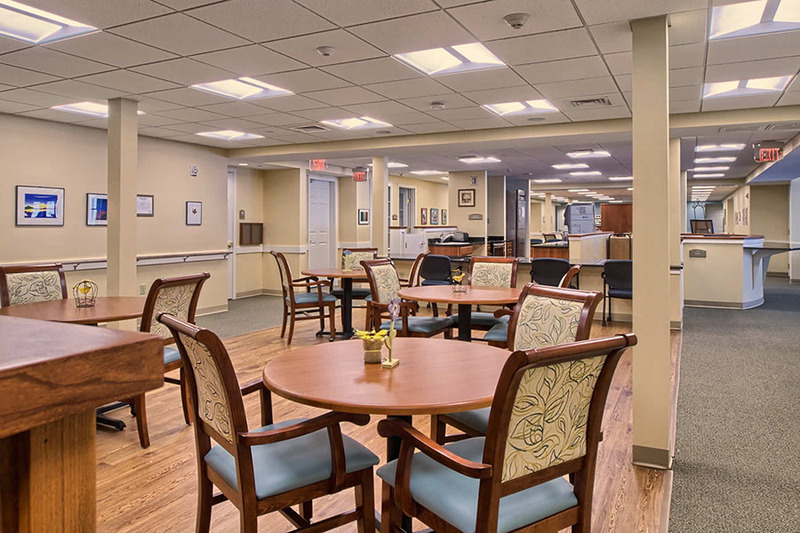 This new memory care facility expanded our memory care options, enabling us to offer state-of-the-art care to seniors with varied needs and challenges. 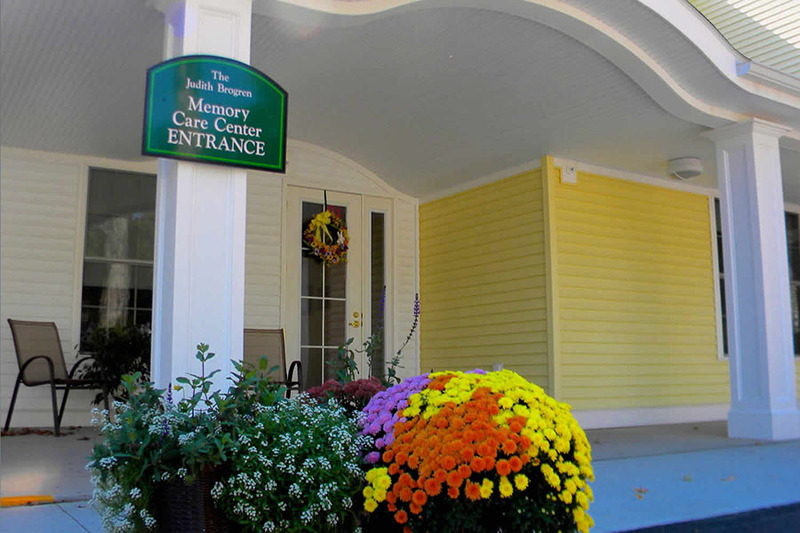 This Vermont memory care facility is exclusively for residents with these special requirements, such as Alzheimer’s care and dementia care. 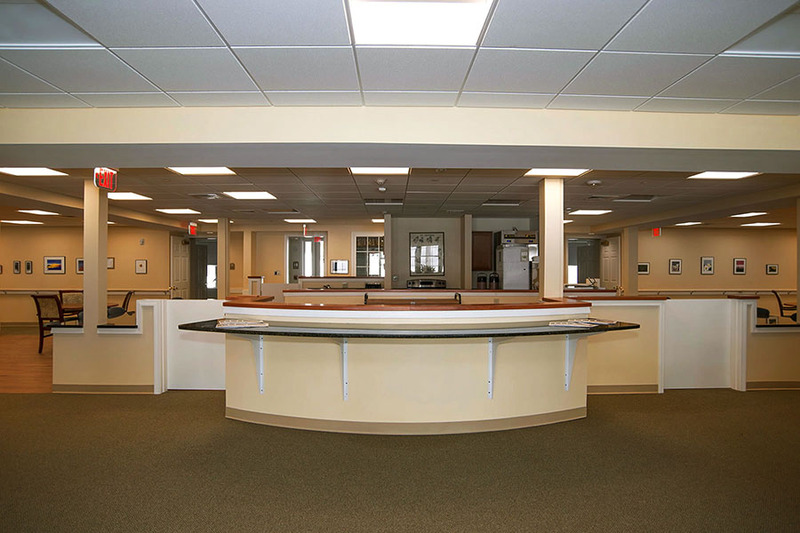 It is a secure area with specially trained staff on duty at all times, and a full-time nurse-manager. 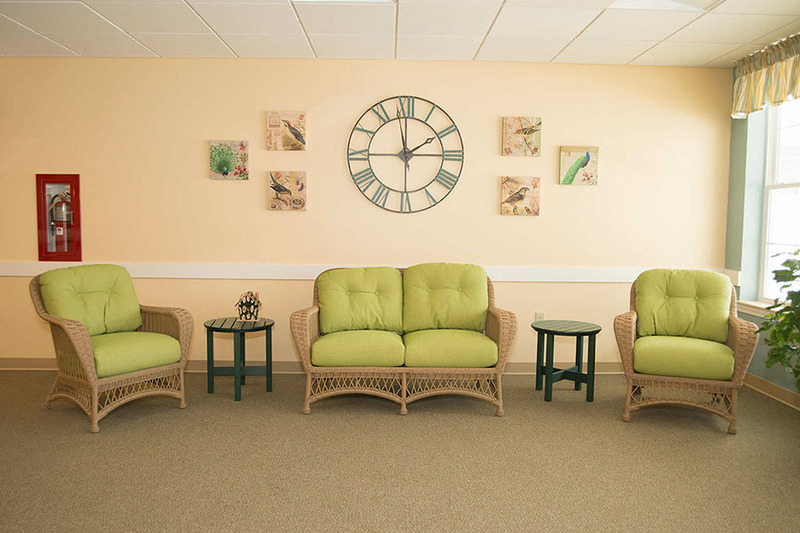 Our Memory Care unit has secure activity areas where residents congregate for meals, activities and socializing. 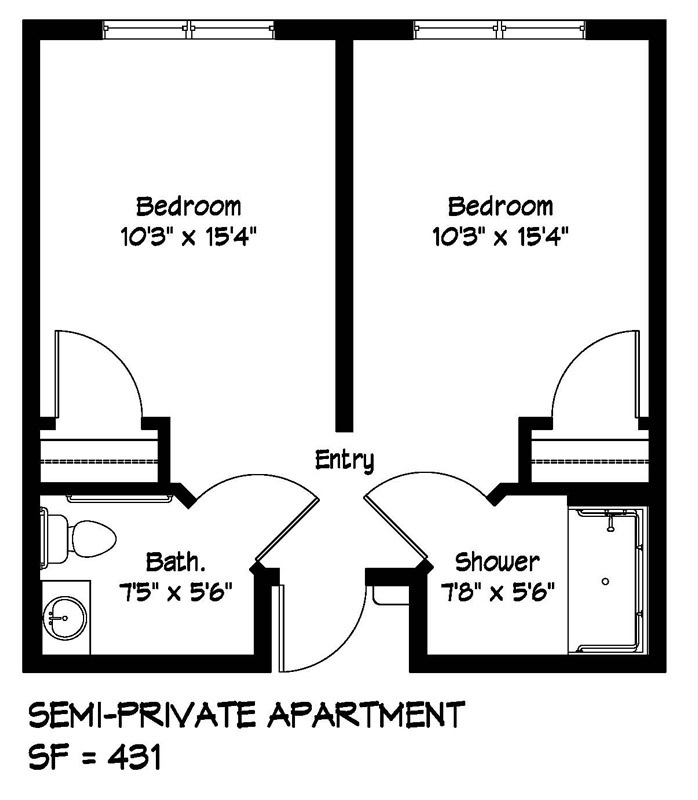 There is a warm Country Kitchen, Dining Room and TV Room where residents may visit with family or friends. 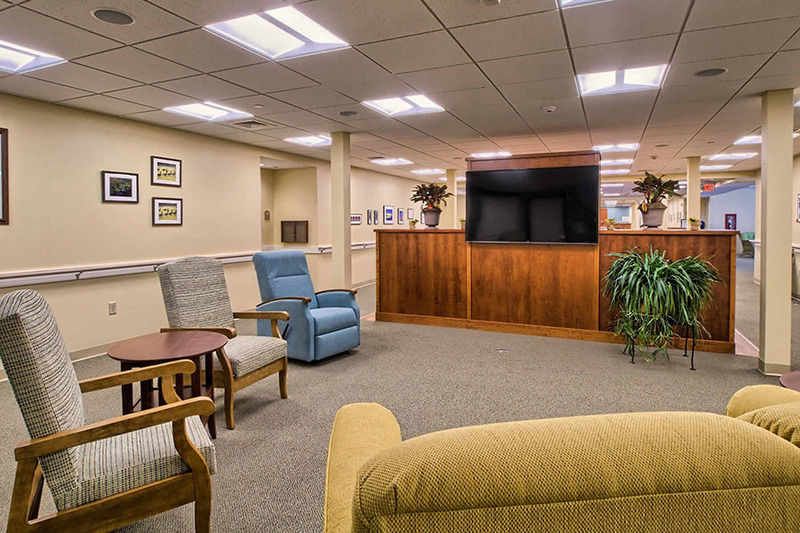 The Art Center offers residents a bright, sunny area for activities, which are designed to engage and stimulate residents with cognitive/memory issues. 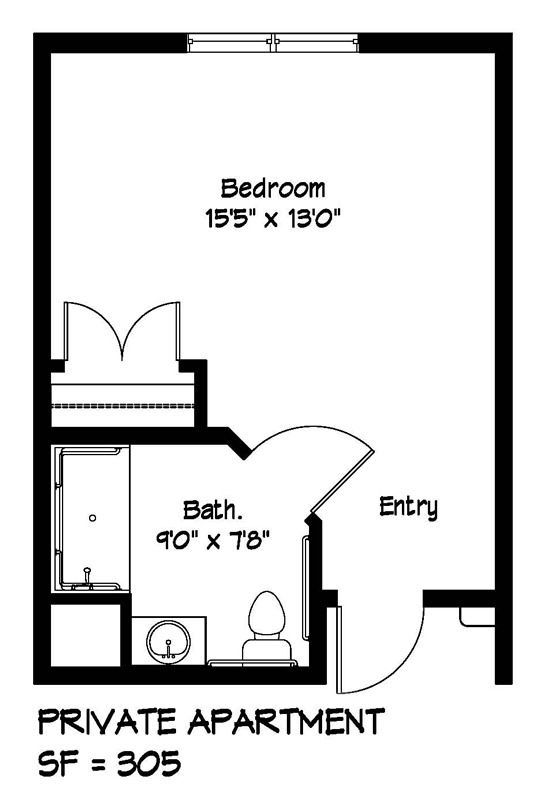 There is also a large Activity area for crafts and games and plenty of space for walking and exercise. 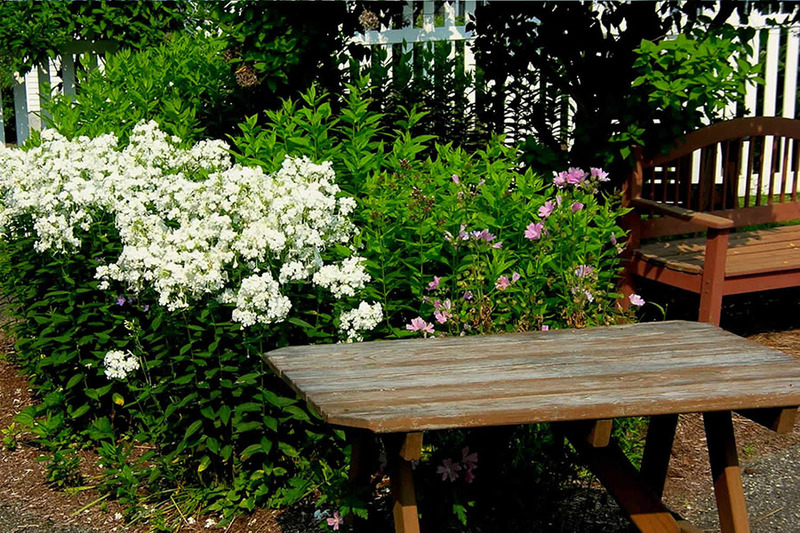 Outside there is a secure Porch and Garden, and we encourage residents to enjoy the outdoors whenever possible. 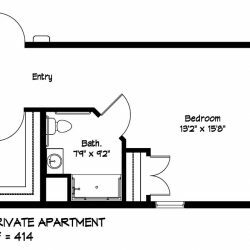 Residents can choose from the private and semi-private rooms, with external windows looking out over the landscaped grounds of Cedar Hill. 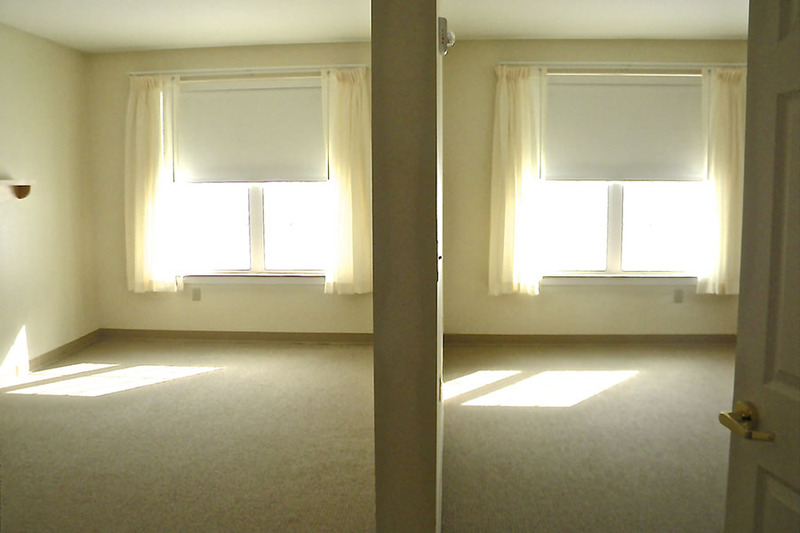 We encourage residents to decorate their rooms with their own familiar furnishings, to minimize the stress of transition. 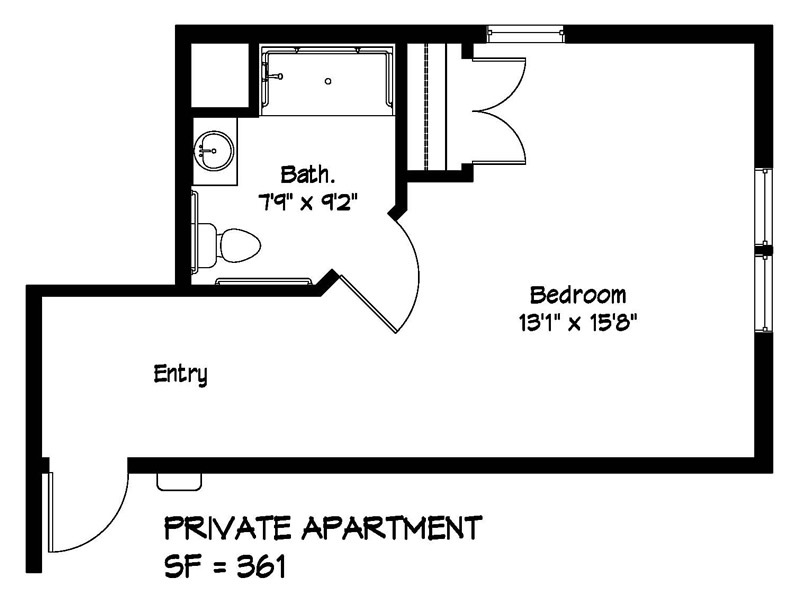 Private rooms feature spacious bathrooms with granite-topped vanities and showers. 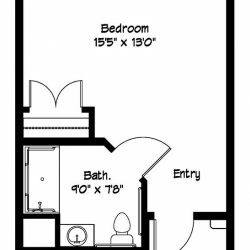 Semi-private rooms have a dividing wall between the sleeping areas and shared bathroom facilities, with the shower on one side and the commode and vanity on the other. 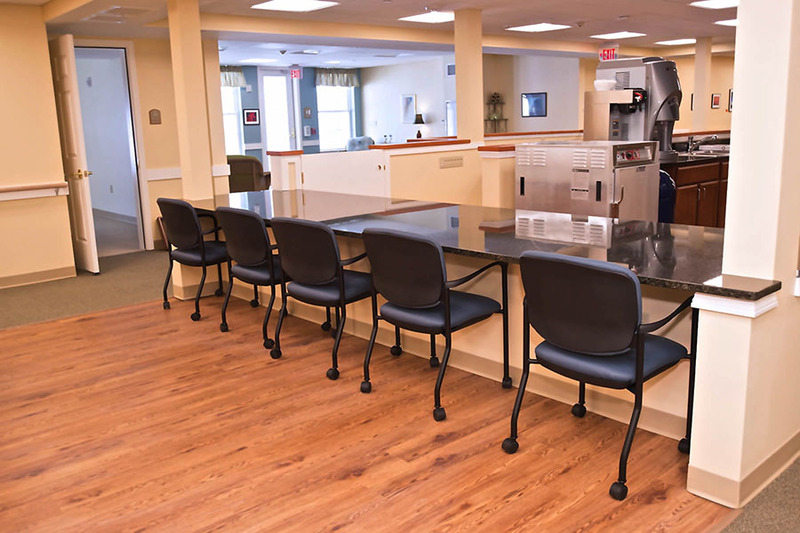 Our dedicated memory care center offers secure activity areas where residents congregate for meals, activities and community involvement. 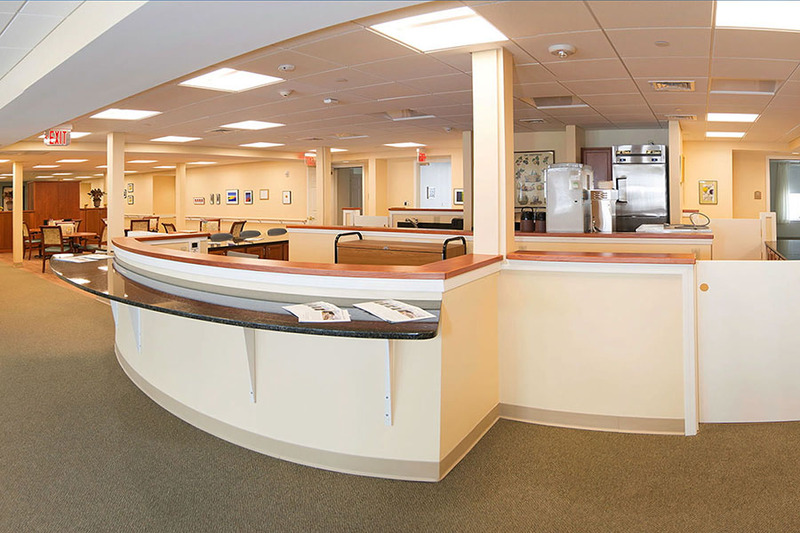 The circular design of the memory-care floor plan places socialization, activity, and dining at the center of life within the memory care center. 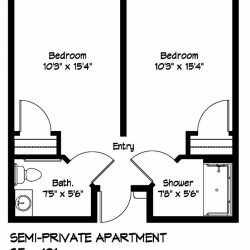 An open floor plan with clear vision lines help residents find what they need easily; secure internal and external areas enable residents to freely interact with nature and with others, within the safety of the spacious Cedar Hill neighborhood. 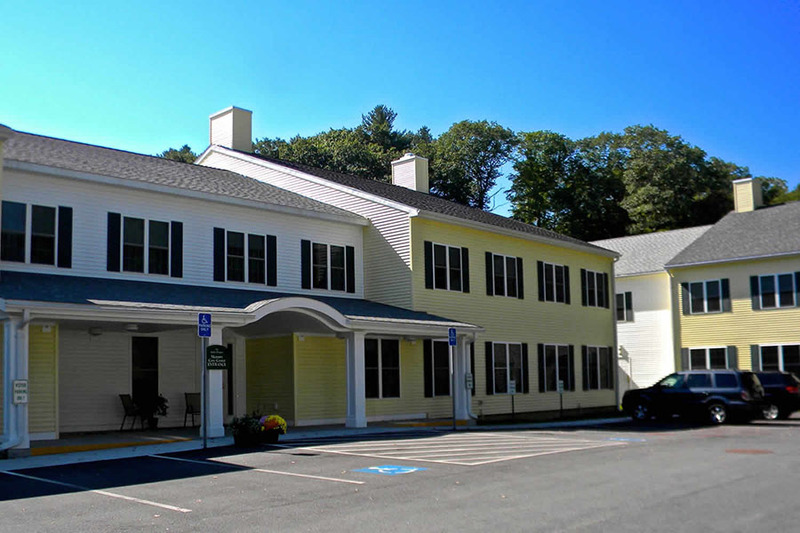 Family and friends are welcome to visit the memory care center, joining residents as they take pleasure in a fresh, home-cooked meal in our country kitchen or dining room or an afternoon show in our comfortable TV Room. 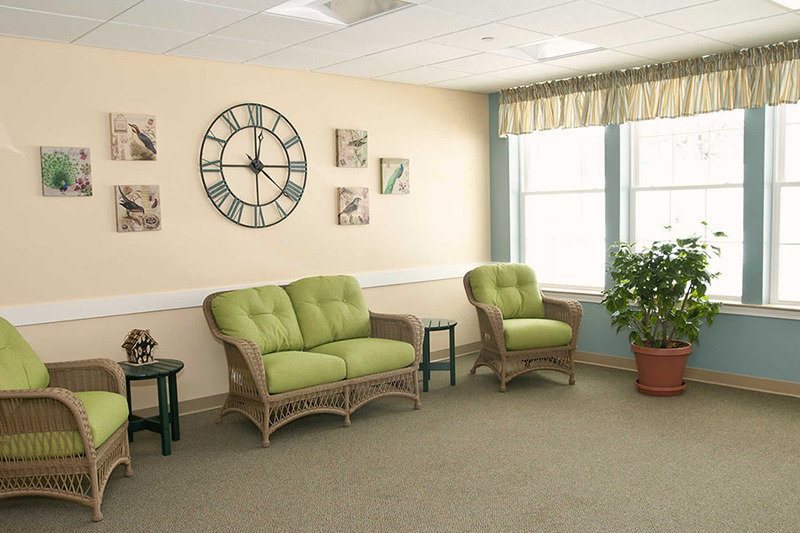 The center’s large main room offers residents a bright, sunny area for activities, which are designed to engage and stimulate residents with cognitive/memory issues. 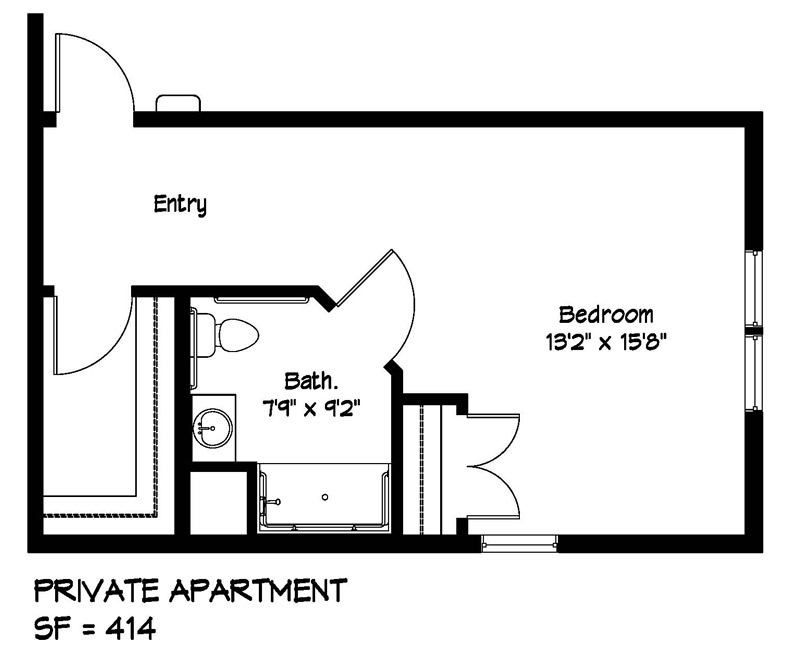 With ample space for walking and exercise, residents can keep fit indoors during the winter months. 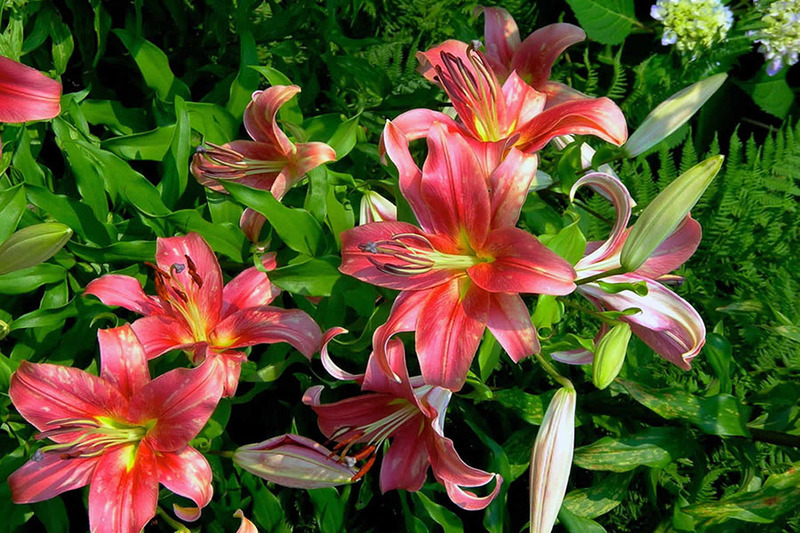 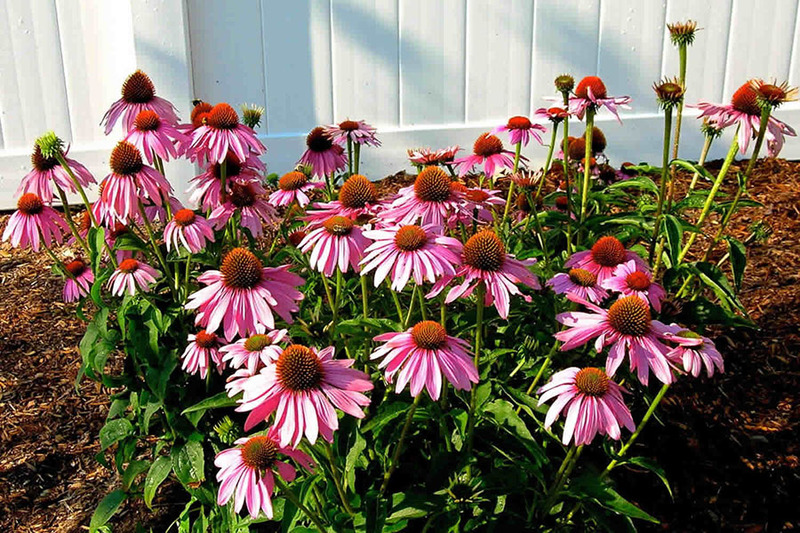 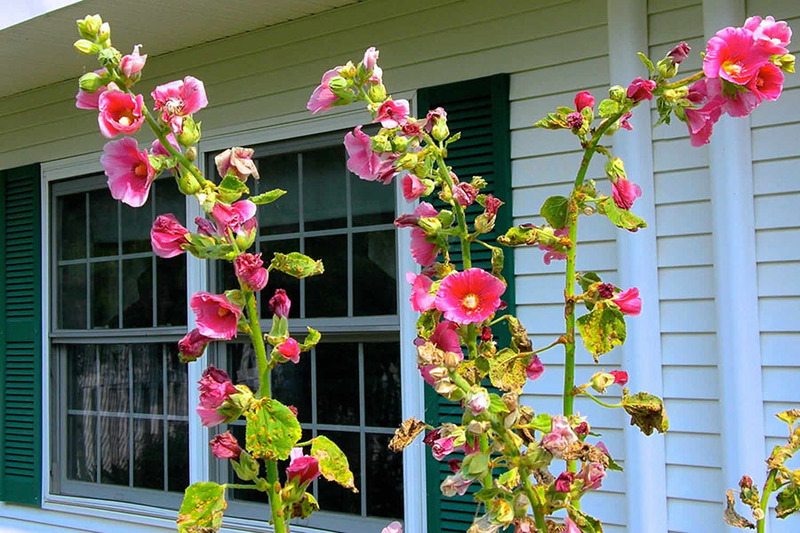 During the warmer months, they can sit out on our secure porch and look out over the garden. 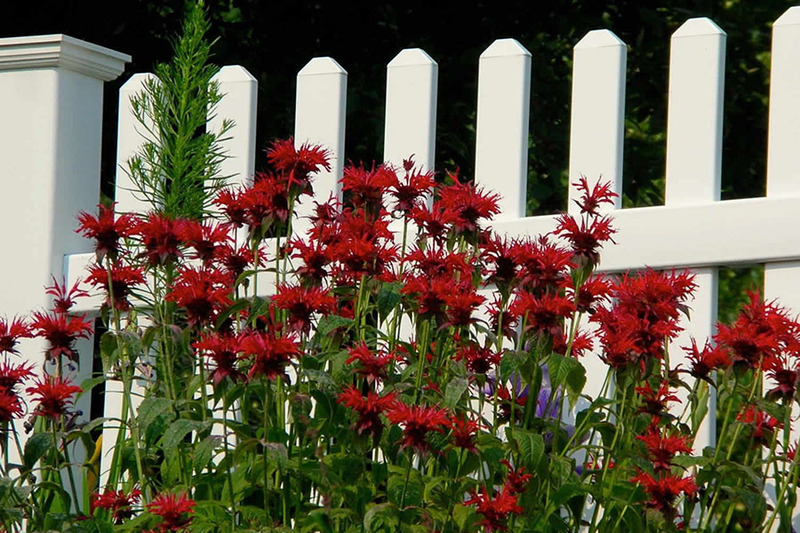 We encourage residents to enjoy the outdoors whenever possible. 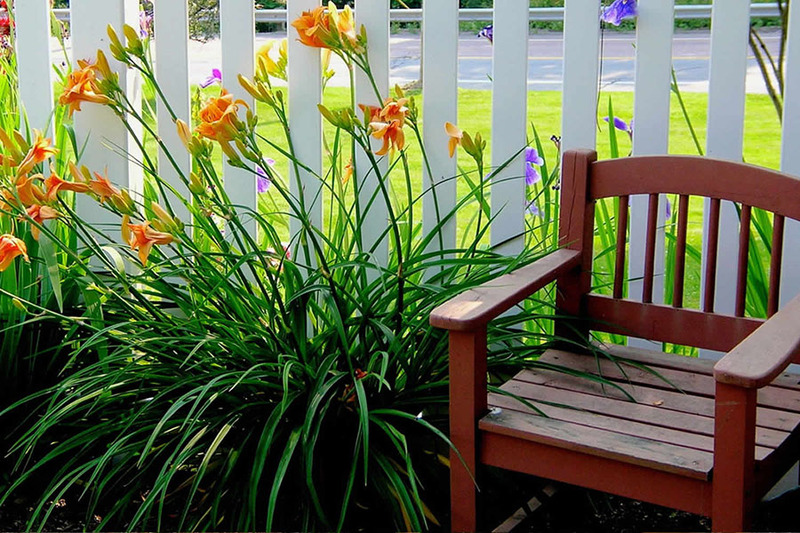 Residents are welcomed with familiar, soothing routines to ease their transition. 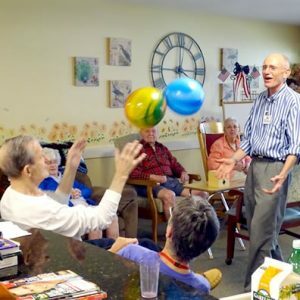 They enjoy socialization and interaction with neighbors and staff through programs and activities that have been thoughtfully designed to meet their unique challenges. 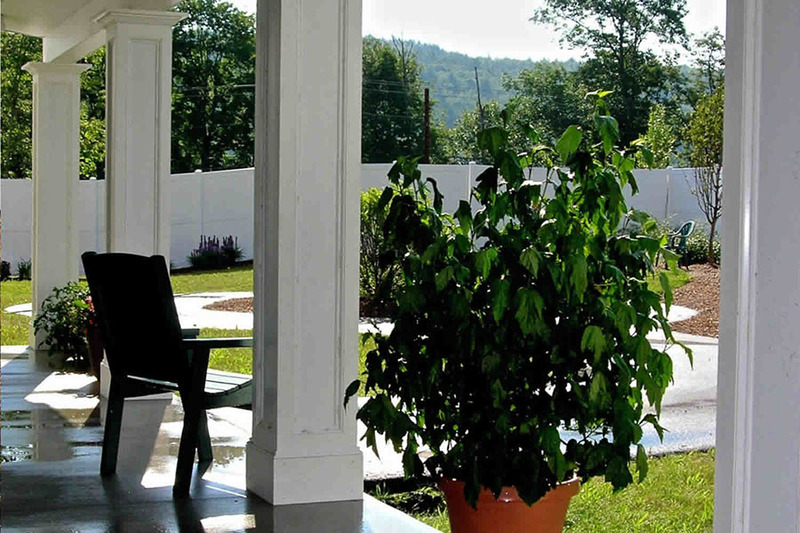 You may rest assured that your loved ones will have the support, attention and special care they require to lead a productive, involved life in their new home at Cedar Hill. 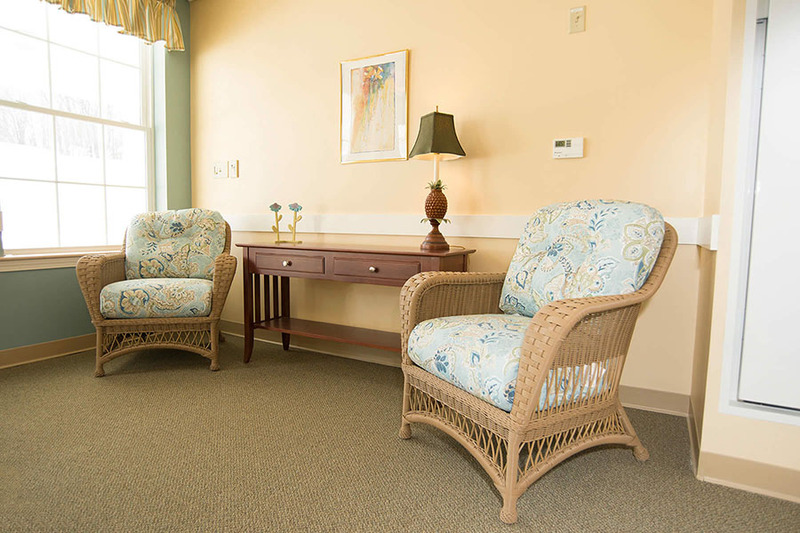 We Provide Private and Semi-Private Rooms that residents decorate with their own familiar furnishings, to help ease the transition to their new home. 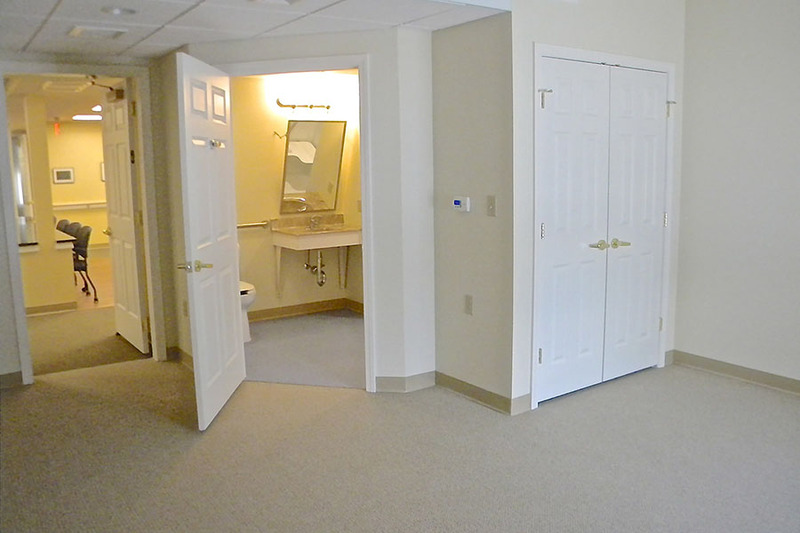 The Private Rooms have spacious Bathrooms with granite-topped vanities and showers. 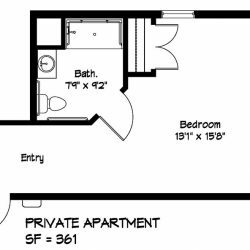 The Semi-Private Rooms have a divider-wall between the Sleeping Areas and shared Bathroom facilities with the shower on one side and the commode and vanity on the other. 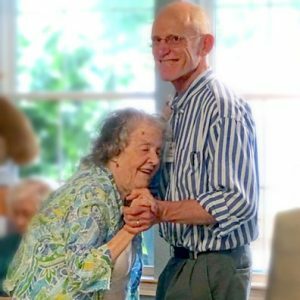 Contact us to find out more about the dementia care or Alzheimer’s care at Judith Brogren Memory Care Center.